If you like grinding, you’ll love Rainbow Moon. very year, the warrior Baldren and his nemesis head out to the woods for their annual battle. This time around, things don’t go quite as expected, and Baldren is shoved through a portal to the mysterious and monster-infested Rainbow Moon. 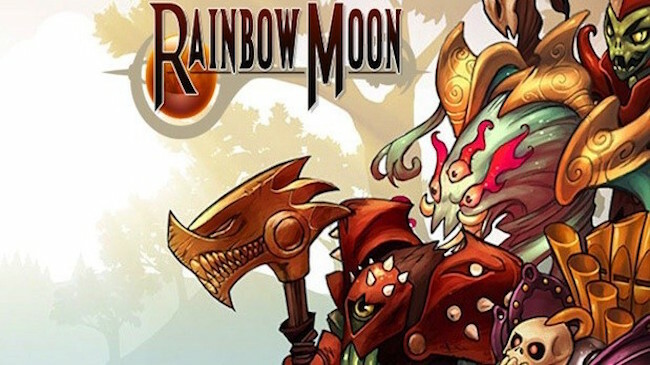 Can Baldren work together with the inhabitants of Rainbow Moon to find his way home? Originally released for PS3, Rainbow Moon is a strategy RPG aimed at a particular subset of gamers – those who love to grind. From the very first quest, the game throws overpowered enemies at you that force you fight lesser foes and raise your stats. The good news is that it’s not just about straight levelling up – defeating enemies yields rainbow pearls which can be used to boost individual stats. If you’re the kind of person who gets an endorphin rush from watching numbers increase, then Rainbow Moon will certainly do it for you. (and most common) torches don’t last very long, forcing you to resupply often. To make matters worse, your item capacity is very limited, so you can’t even load up on food and torches for a long exploration session. 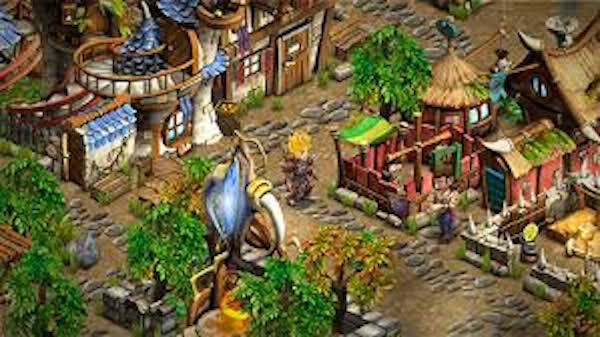 As you venture deeper into the world of Rainbow Moon, you’ll encounter characters who will want to join you on your journey, and this is definitely something of a mixed blessing. Much as you think you’ll appreciate having more people on your team, the new characters will all be weak when they join, and with a worse stat distribution than the balanced main character. The only way to up their stats is for them to live through battles and defeat enemies, so in fact, all you’ve done by taking on new characters is multiplied the amount of grinding you have to do. Visually, Rainbow Moon is brightly coloured and cute looking, whilst the background music is serviceable if not especially memorable. The dialogue can feel a bit stilted in places – fair enough for a German studio writing in English, you might think, except that there are native English speakers on the staff. If you like grinding, you’ll love Rainbow Moon. This isn’t just a game that offers the opportunity to run around for hours levelling up, it pretty much demands it. 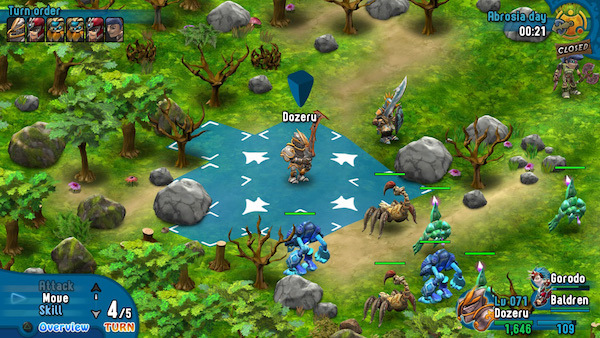 Whilst fans of strategy RPGs will certainly find it fun for the first few hours, only the most dedicated will make it through the entire game. Everyone else should try something like Disgaea instead.